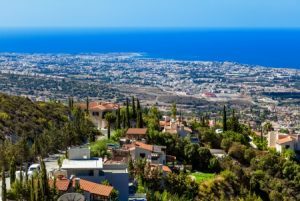 Developers in Cyprus are seeing healthy interest in both the Cyprus citizenship and Cyprus residency investment programs. Candidates from the Middle East and North Africa have been lining up to take advantage of the programs, which offer European Union access as a major benefit. The program is helping the country’s property market to recover following major economic issues in the last 10 years. The Cypriot government moved to reduce the investment threshold for Cyprus citizenship to €2 million from €2.5 million in September 2016. When the program was first introduced, the threshold was €5 million. A further change means parents of the primary applicant can now be included if a further €500,000 is invested in a private residence. If the citizenship option is too expensive, candidates can also consider a Cyprus residency option, for which the threshold is €300,000. Developers including Aristo Developers, which has 250 projects within Cyprus, have seen a spike in interest since the threshold change. A huge Ayia Napa Marina project is also being funded in part by the investment immigration programs.